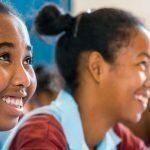 The Madaworks team has just returned from Madagascar. This incredible trip was a multi-purpose affair, incorporating many missions. Distribution of our first scholarship program applications encompassing the Ranomafana area regional middle schools; collecting footage for our upcoming short video; and visiting Julie, last year’s recipient, to see her progress. Delivering the first round of the annual scholarship program applications to the 5 middle schools was a humbling and rewarding experience. These rural schools need our help now more than ever. 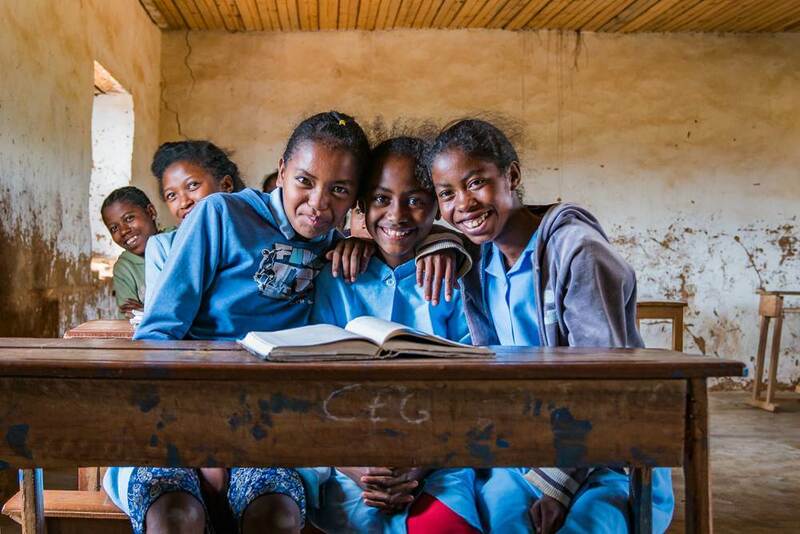 While some international programs target schooling in Madagascar, they are mostly centered on more populated areas and larger cities and towns. We are the first group to provide high school scholarships to girls in this rural area. The girls were very excited about the program and I have to say it was incredibly fulfilling to know that one girl from every school would be supported by us. Thanks to our donors and our team for making this a reality! Thanks go out also to our team on the ground in Madagascar, Pascal, Prisca, Florent, Santatra, Hery, Nicolas and our amazing driver, Hery. Bravo! The second goal of this trip was to gather enough video footage to create a film showing what Madaworks does. We filmed much of trip and our work, which will be edited into a short video by Mike Krentzman and his team, Maria Dias Krentzman and Logan Hodson, at Red Summit Productions. This video will be premiered at the Women Deliver Conference in Copenhagen on May 16th. The first cut looks incredible and I can’t wait to share their amazing creation. Filipe Amado, the designer of our website, was also on hand to photograph the country and the girls for Madaworks. His work is truly beautiful and captures the spirit of Madagascar in many dimensions. We will be sharing many of his photographs through our Instagram and Facebook pages throughout the year. A big shout-out goes to my film crew, Mike Krentzman of Red Summit Productions and Filipe Amado of filipeamado.com, for making the trip not only great fun and an adventure, but for their patience and flexibility. And lastly we had the good fortune to see Julie visiting her family on the weekend in Sahavondronina while we were there to film the women basket weavers. It was fascinating to learn about how the dyes are prepared for the raffia, which is then woven around Bokura fibers. The women harvest a turmeric type root for coloring the raffia, using only part of it and then replanting it. They chop it up and boil it with salt to create a brilliant golden yellow. They also use dried banana peels for brown coloring and special leaves for the green colors. After seeing Julie at home, we were able to catch up with her the next day at her high school in Alakamisy. While her rental apartment is in the nearest town to the school, she still must walk about 5 miles each way to get to school. She is doing really well and hopes to attend nursing school after she graduates this year. It is astonishing how far some children walk to school. Sometimes they walk nearly 10 miles each way – just to go to school. That’s how important it is for them. 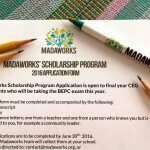 Madaworks is striving to help as many girls as possible attain the dream of completing high school. We are on our way!